Epidemic GNU/Linux was a Brazilian desktop Linux distribution based on Debian GNU/Linux. 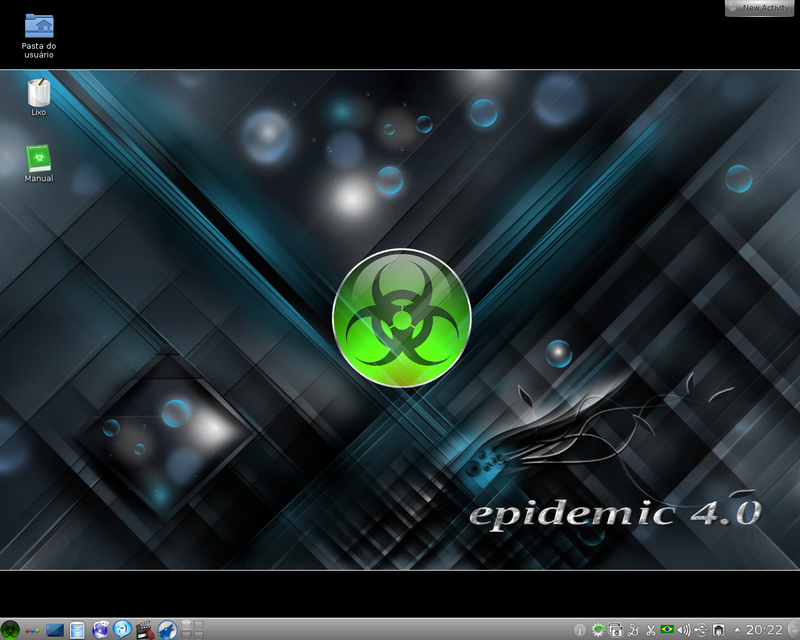 Its main features are the KDE desktop, easy-to-use installer, 3D desktop features with CompizFusion, use of the GFXBoot bootloader, out-of-the-box support for numerous proprietary and non-free kernel drivers, and support for a variety of media codecs. 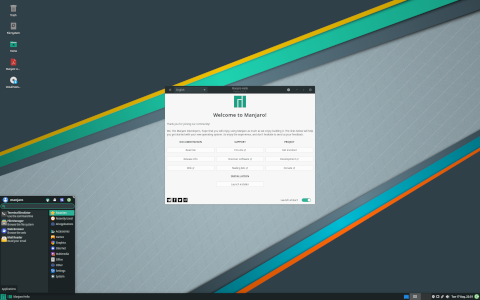 Rate this project Philip Müller has announced the release of Manjaro Linux 0.8.4, a Arch-based Linux distribution with a choice of Xfce, Cinnamon and Openbox desktop user interfaces: "More features, more refinements, and more user-friendliness characterises the release of Manjaro 0.8.4. While the most immediately noticeable difference will likely be the introduction of a new look developed especially for the Manjaro desktop environments, the most significant development will be found in the official introduction of Pamac, a user-friendly Pacman interface developed in-house by the Manjaro team. Replacing the Kalu, Pacman-GUI, and Package Browser applications, Pamac makes it faster and easier than ever before to update the system, search for, and install software." Read the full release announcement for information about new features and screenshots. Download (SHA256): manjaro-xfce-0.8.4-x86_64.iso (1,098MB), manjaro-cinnamon-0.8.4-x86_64.iso (1,365MB), manjaro-openbox-0.8.4a-x86_64.iso (890MB).